Some of the Lochaber Mountain Rescue Team were also joined by a member of the Swiss Alpine Club who was a friend of the four climbers involved in the avalanche. A member of the Scottish Avalanche Information Service also revisited the site. A member of the service was in the area at the time of the incident and raised the alarm. 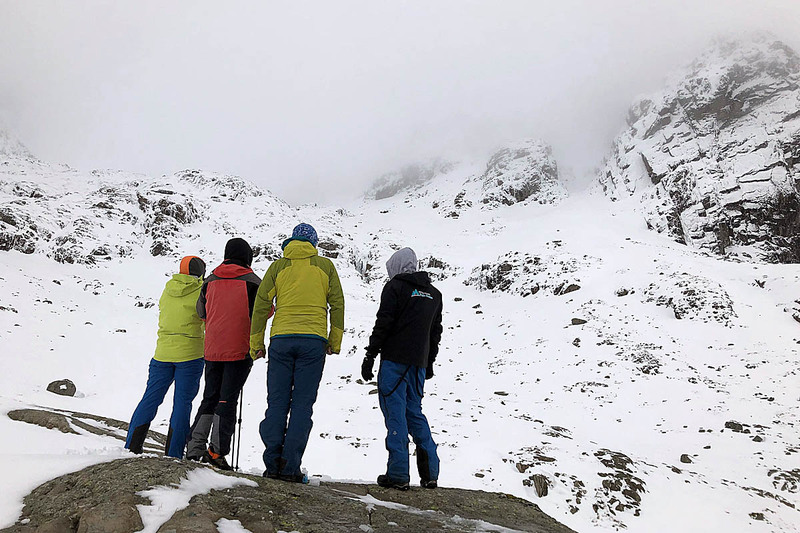 The team also appealed to climbers who are in the area to be on the lookout for the ice-tools of the four men, which has still not been found. They are likely to be in the area below Number Five Gully and Moonlight Gully Buttress. 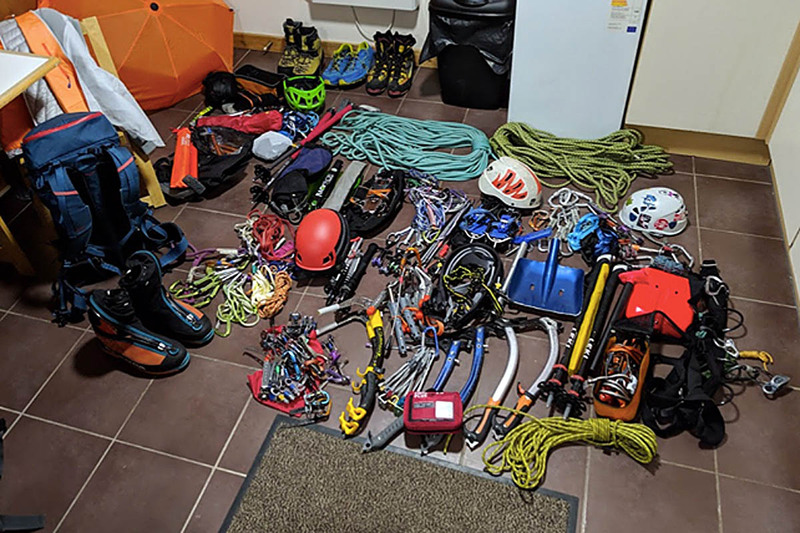 Most of the gear belonging to the climbers was found and will be returned to Switzerland and France shortly, but the tools are still missing. The rescue team asked any climber who finds the ice-axes to return them to Fort William police station or the Lochaber MRT base. They released a photograph of the gear the Swiss Alpine Club members brought to Scotland. Four members of the Swiss club were avalanched in Number Five Gully on the North Face on 12 March. Two French nationals, aged 32 and 41 died on the mountain and a 43-year-old Swiss man also losing his life. A 30-year-old Swiss climber was airlifted to Queen Elizabeth University Hospital in Glasgow.